Invoke your imagination with the endless landscapes and cultivating cultures on your South America tours. You may wish to venture to the classic hotspots, or go where few people tread. We have some wonderful gems. Go now! Machu Picchu – or Old Peak in the traditional Quechua language – are the ruins of the great Incan civilization. It stands amid the clouds atop an Andean mountain at 2,430 meters. Constructed out of 50 tonne stones using only skill and no mortar, this 15th century city was rediscovered in 1911. Shrouded in enigma, historians believe it was a city dedicated to sacred ceremonies. The Inca created over 700 terraces for agricultural cultivation, and used the underground natural springs to develop an enlightened system for water distribution. At its heart is a Sun Temple, and there’s evidence of observatory ruins, which suggest the Inca had a sophisticated understanding of astronomy. According to Shamanic legends, if you touch your forehead to the Intihuatana, a ritual stone, you can envision the spirit world. Top Tip : If you are physically fit and want a postcard view of Machu Picchu, then we can arrange for you to explore the mountain opposite the ruins, Wayna Picchu. The trail is steep but provides a wonderful panoramic view of the lost city and the surrounding Andean peaks. While the adventurous choose to trek over several days, Machu Picchu can easily be reached by train, which takes 1.5 hours, and there are several options to choose from. We recommend the Vistadome, or the super-deluxe Hiram Bingham. The Inca were an early tribe that is sprinkled with mysticism and mythological enchantment. The tribal creation story is of a powerful brother and sister created by the sun and moon, who arose from the depths of Lake Titicaca. They wandered adventurously to fi nd a location for their great city – today’s Cusco. Archaeologists have a simpler story to explain how the Inca tribe achieved empirical supremacy – they defeated their neighboring rivals. Machu Picchu isn’t the only mystical civilization! 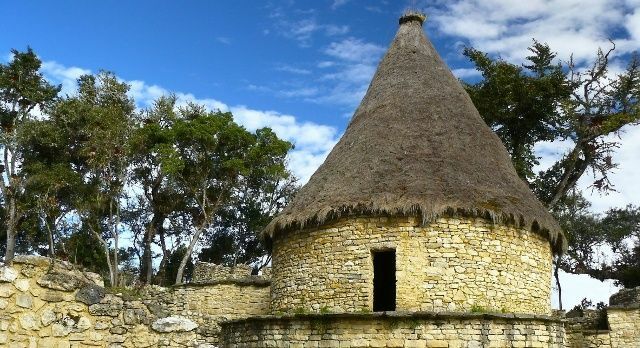 If you venture to the Chachapoyas region, which is located within Northern Peru on the western side of the Andes, you can explore Kuelap where you will find the citadel ruins of the Warrior of the Clouds people. The citadel sits even higher than Machu Picchu – at 3,000 meters. Given that few tread this region, there is not such a developed infrastructure but, if you have an explorer spirit, this is more than made up for with incredible mountain scenery and archaeological delights! A moderate level of fitness is required to venture to Kuelap, and you will need to be comfortable with walking and clambering over uneven ground and damp rocks. 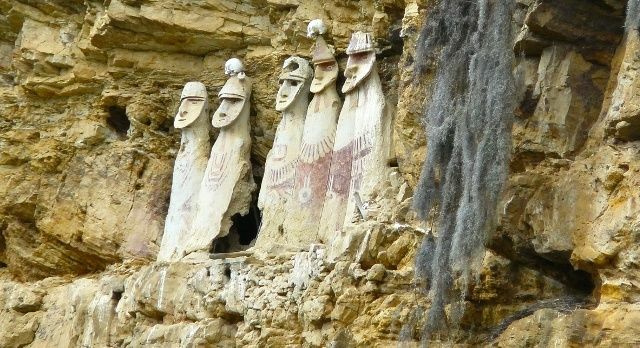 These ancient ruins can be reached from the small Peruvian town of Leymebamba, past several tiny villages, or from Chachapoyas. They are so off -the-beaten track that they have been overtaken by jungle. If nature calls en route, you have to use nature’s toilet! The Chachapoyas were an ancient civilization that predates the Inca, building its empire in the 6th century. They traveled from where they lived in the cloud forests of the Amazonas region into what is modern-day Peru, probably in order to find agricultural land. The people were conquered by the Incan Empire shortly before the Spanish in the 16th century. 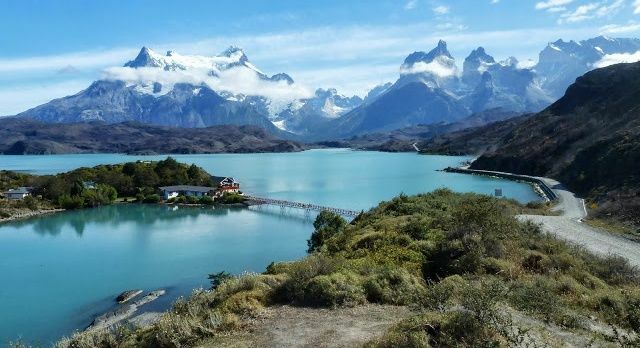 With majestic mountain landscapes, serene blue lakes and untouched nature, Torres del Paine is considered the Crown Jewel of the Chilean Patagonia. It’s popular, certainly, yet vast enough that you can experience the remote landscapes in relative tranquility. Wildlife abounds as guanacos and Darwin’s rhea roam the land and condors rule the skies above. You can choose to take it slow, breathing in the fabulous nature from the comfort of your lodge, or go on a heighty trek to Nordenskjöld Lake, Salto Grande Waterfalls, and Pehoe Lake. One of the highlights of this destination is a three hour boat ride across Lake Grey to the spectacle that is Glacier Grey, an imposing ice tower with its shimmering blue and white hues. Torres del Paine is a flight from Santiago de Chile to Punta Arenas, followed by a fi ve hour drive. Imagine venturing to a place only accessible by road from the neighboring country (Argentina) – or by boat or plane. That’s the beauty of Aysén Region, Patagonia’s raw, rural and relatively undiscovered side, also located within Chile. 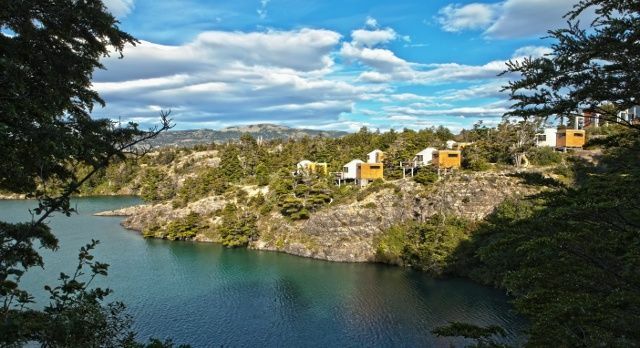 The Aysén Region is ideal if you are seeking freedom and independence, or desiring an authentic experience over luxury. The main hub and launch pad to the main attractions is the town of Coyhaique. There’s so much to see, from the humid yet cold rain forests, the Pacifi c Coast and icy fjords in the East, to the dryness of the Andes Mountains in the West. In Autumn (from March until May) you can experience fabulous colorful forests. From Puerto Chacabuco you can visit the stunning San Rafael Glacier and witness floating icebergs on a day long boat ride with a mischievous Chilean crew. 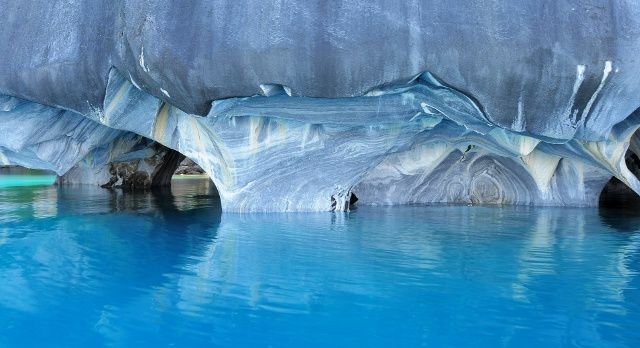 Another highlight of Aysén Region is the natural marvel of the otherworldly, shimmering Marble Caves of Lake General Carrera. If you don’t find your bliss here, you probably never will! To reach Aysén Region, you will fl y to Balmaceda Airport, then travel along part of the Carretera Austral (NR 7), which is mostly an unpaved, gravel and dirt road. Alternatively, take a cruise over several nights from Puerto Montt. Did you know? The intriguing road of Carretera Austral in its entirety runs 1,240 kms from Puerto Montt to Villa O’Higgins, with stretches of water in between. 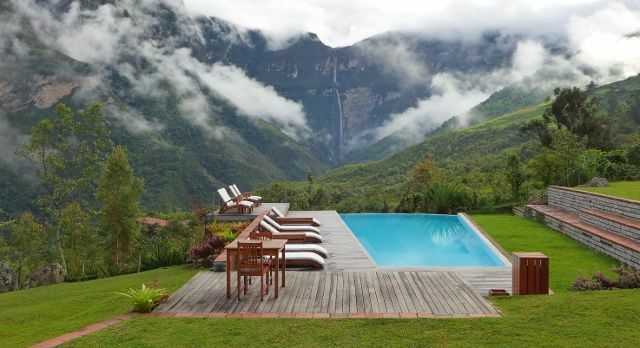 Plan your trip to South America today! Contact us for your private, tailor-made itinerary. Discover South America Tours today!